She and political strategists like Jessica Byrd and Kayla Reed are designing a new theory of the Democratic coalition. For too long, the Democratic Party has been comfortable with black women only running conventions or registering voters — doing background work. The party expects black women to be its backbone, as when 98 percent of black female voters in Alabama cast their ballots for Doug Jones in the special Senate election last year. But it has never truly supported them as leaders. 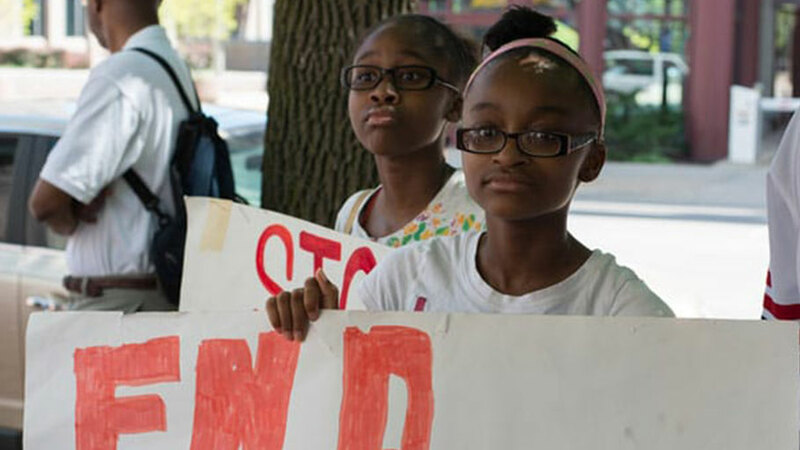 Black women are demanding more. No longer willing to only build the party, they are now leading it, pushing the party farther left. In doing so, they’re also creating a new vision for what progressive politics should be and how to get there. 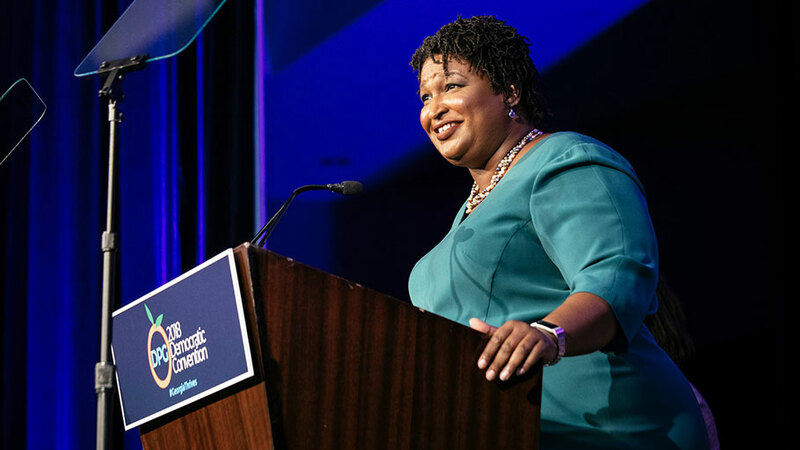 Stacey Abrams, running for governor of Georgia, along with political strategists like Jessica Byrd of Three Point Strategies, Kayla Reed of the Electoral Justice Project and Stefanie Brown-James of Collective Pac, are the architects of a new theory of the Democratic coalition. This theory looks to attract young voters and voters of color, who often want more progressive social and economic policies. And it rejects the Clinton-era push for centrist voters with watered-down policy positions. Ms. Abrams (whom, full disclosure, I gave a modest donation) is unique in a field of progressive Black women — which includes the congressional candidates Ayanna Pressley in Massachusetts and Jahana Hayes in Connecticut — because she is also respected as a political strategist. She, Ms. Byrd and Ms. Brown-James aim to challenge liberal orthodoxy about how to win. Ms. Abrams and her team, including her deputy campaign manager, Ms. Byrd, have spent a majority of campaign funds on canvassing and get-out-the-vote efforts. A heavy field strategy may seem counterintuitive in this digital era, but the chance to look someone in the eyes and connect might just be the thing to slice through “fake news” that exposes voters to so many conflicting messages that they often don’t know what to believe. And it’s working. The New Georgia Project, which Ms. Abrams started in 2014, has registered more than 200,000 voters, many of them young or of color or both. In response, the Republican candidate for governor, Brian Kemp, has unleashed a wave of voter suppression, tossing 53,000 registered voters off the rolls, 70 percent of whom are black. Her goal as a millennial and a member of the Black Lives Matter generation, which is skeptical of liberal politics, is to get close enough to the operations of political power to transform electoral politics. Given increasing evidence of rampant voter suppression nationwide, some radical kind of transformation is urgent and necessary. Expanding the voter rolls won’t help if in the end, voters are still disenfranchised. Ms. Byrd says the two-party system is “the greatest barrier to black political participation of all other systemic barriers,” even though she manages and strategizes for campaigns of black female Democrats, including, in 2017, several mayoral campaigns. She believes that “a multiparty system that centers all the issues is the only way forward for democracy” and that to get to a new system, you first have to master the old one. Similarly, Kayla Reed, a St. Louis resident who came to prominence after Ferguson, is thinking big. One of her most recent victories was working to unseat District Attorney Bob McCulloch because of his failure to prosecute Darren Wilson, the officer who killed Michael Brown. She helped Wesley Bell, a reform-minded City Council member, win that race. Mastery is counted in wins, not losses. And that means that Stacey Abrams has to win the governorship. But even if she does not, her long game of embracing diversity and building capacity will. Ms. Abrams, who unlike Ms. Byrd situates herself on the left flank of the Democratic Party, believes that good progressive governing is the way forward. For Ms. Abrams, this is a two-step process. “You build what you intend to see,” she told me. That’s why her campaign is the most diverse in Georgia history: 46 percent of her staff is African-American, 31 percent white, 15 percent Latino, 9 percent Asian/Pacific Islander. In addition to building a diverse campaign, she has focused greatly on building capacity by training a new generation of political operatives of color through her Blue Institute, begun in 2015. I suspect this strategy of embracing diversity and building capacity is a function of having a family story that Ms. Abrams says is grounded “in the idea of intersectionality, of how who we are and how we grew up is directly tied to the lives we need to live.” This means that she is committed to policies on health care, education, and jobs that take into account black women’s particular realities, like high rates of maternal mortality (an issue Ms. Pressley also plans to address), poor access to quality schools and a debilitating wage gap. It’s risky for a candidate to use longstanding black feminist buzzwords like “intersectionality”; any hint of identity politics gets branded as divisive by liberals and conservatives. But it is smart thinking if your goal is to expand the Democratic coalition. When Ms. Abrams, a single black woman in a society obsessed with candidates in nuclear heterosexual families, showed up to Atlanta Pride in October, she refused to believe that allying herself with gay people in the Bible Belt would harm her political chances. Ms. Abrams is writing a new kind of American story, a political story in three acts: building capacity to elect a black female governor, gaining the experience and credentials to do the job, and as she told me, “act three is being the governor” and implementing the kinds of progressive policies that have electrified her supporters. Whether Ms. Abrams wins or loses, she has already achieved the most important victory: She has expanded our political imagination and enlarged our sense of what is possible.